The Greatest Grid: the Masterplan of Manhattan, 1811-2011 is an exhibit now showing at the Museum of the City of New York that details what the New York Times calls “a landmark in urban history and a defining feature of the city:” the grid. Starting north of the oldest part of the city all the way past Harlem, the strict grid of avenues crossing with streets defines how New Yorkers live their every day life. I wanted to write about the Manhattan grid following the post on connectivity yesterday because New York City is perhaps one of the most connected and permeably designed cities in the world. Legibility: It’s simplicity and orientation allows the city to easily be grasped by users, even tourists who have been there for a few hours. Flexibility: The planners originally thought that the population of New York City would be moving east and west to waterside parks. When the city’s orientation changed to north and south, the grid was able to handle the shift in movement. The grid also was able to adapt to the inclusion of a Central Park, which was introduced to the masterplan later in its development. Economic Vitality: Because there was ease in navigating the grid and made the growing city so accessible to users, property values soared and began what some consider the beginning of the property market in America. There is no doubt there is a culture associated with being a New Yorker. I know many New Yorkers and they have more pride in the place they come from than almost any other person I have met. I have always admired this about them. An emotional connection to place is growing more rare as technology and poor planning has begun to define our sense of community. Having said this…I just don’t get New York, which I 100% believe is because of its grid. I understand that “the city that never sleeps” has the most amazing cultural and artistic offerings of any other city in the world. You can’t get any better in that respect. But while it has tugged on my heart-strings it has never done so in a positive way. I have never immediately felt like a New Yorker like Mr. Kimmelman claims. Unlike him, born and raised in Greenwich Village, I’ve always felt the opposite: an outsider. I think it’s a mistake to think the strict design of the grid allows everyone to personalize the urban environment or feel at home in New York. 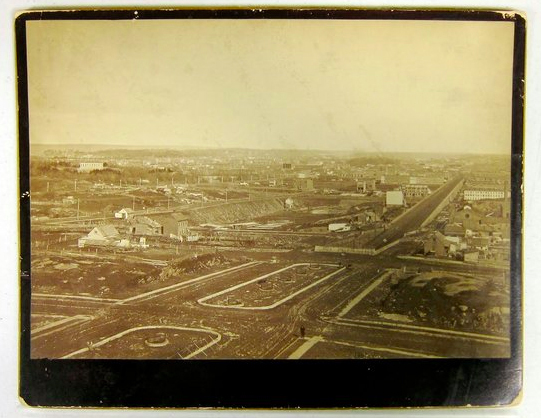 I agree with Frederick Law Olmstead, one of the greatest American landscape architects, that the New York grid is monotonous, and I would further say…heartless. We are lucky that the culture of New York that has developed has given it its huge heart. Mr. Kimmelman is correct in saying that its the New Yorkers’ constant attempt to break the grid that actually gives it its character. My experience in a city like London is a breath of fresh air. While it might take a little longer to get your bearings it is still very legible. It’s organic layout is even more flexible than the strict grid and can constantly shift. It’s so connected any development can easily tie back into the contextual urban fabric. It has gorgeous public spaces where “street theater” can be witnessed by hundreds. But the real difference for me as I walk the streets of London is that every turn of a corner is a surprise! Whether its a landmark, a pocket park, or a beautiful streetscape, I am always left pleasantly surprised by every step I take. The diversity in street design easily lets the city dissect itself into neighborhoods, each with their own very distinctive character. Don’t get me wrong, there is no doubt that Manhattan’s grid was a tremendous act of urban planning that must be congratulated. The gung-ho attitude required by city planners to survey an enormous space and reorganize privately owned land for the betterment of society and the city is a huge task. As Kimmelman states, and I agree, this is an attitude our urban planners could use a little more of in the face of issues such as global warming and sprawl. In the New York Times article John Reps, an urban historian at Cornell, is quoted saying that the city commissioners “were motivated mainly by narrow considerations of economic gain.” Even if money was the motivation behind the grid and not creating a beautiful place with “squares and boulevards,” the grid’s connectivity allows enormous benefits over the design of the majority of America’s development. It allows for a density that makes New York City one of the greenest places on earth and the most active public realm that I have ever witnessed. With little public space, aside from Central Park that is centralized, the excitement and surprise of human nature is in front of you wherever you go…there is no space for it anywhere else. But here’s the food for thought. 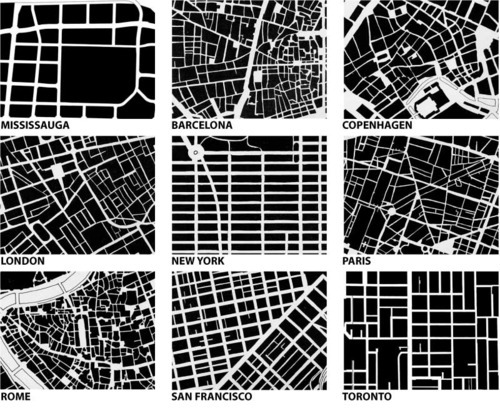 The grid works because the street network is very permeable and connected, not because of the design itself. Connectivity, while it is the first step in creating a development, doesn’t take away the ability for urban planners to design it well.